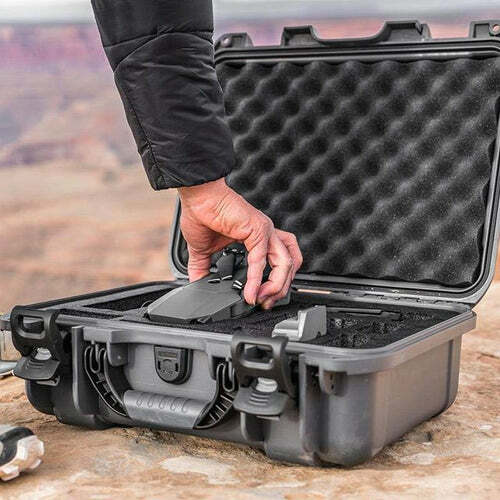 The Brand New Nanuk 920 DJI Mavic Case is your new best friend. 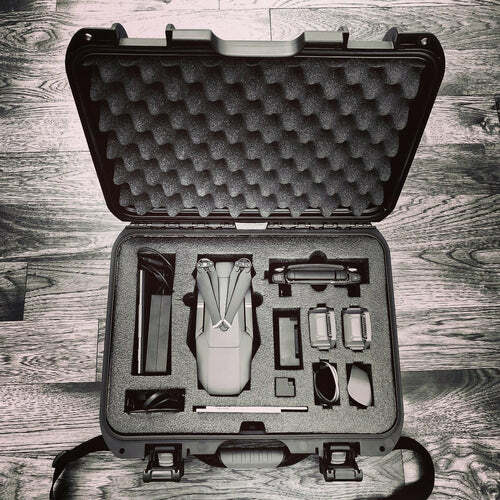 As much as you might care for your drone, there is always time where a solid waterproof and shockproof case will be needed. If you use your Mavic in areas like the beach, mountains or on any adventures, you never know how bad it can get and having a place to store and protect your expensive toy is a must. Front and Back views of the Nanuk 920 DJI Mavic Case in Silver. Perfect for the Mavic and it's entire accessory set. 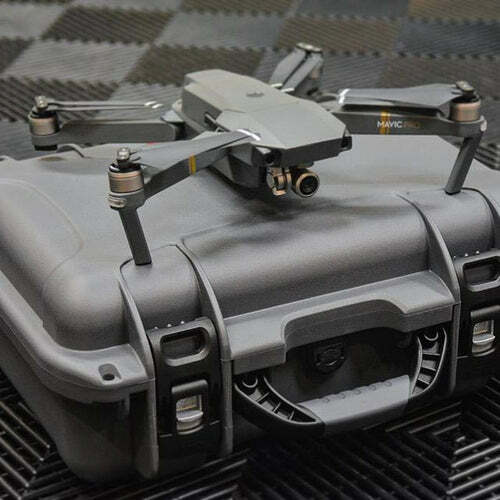 The Nanuk 920 DJI Mavic Case is big enough to store the Mavic, 5 Intelligent Flight Mavic Battery, some extra Mavic - 8330 Quick-release Folding Propellers, the Mavic - Battery Charging Hub, The DJI Mavic Remote control, a Smartphone, power cables and more. 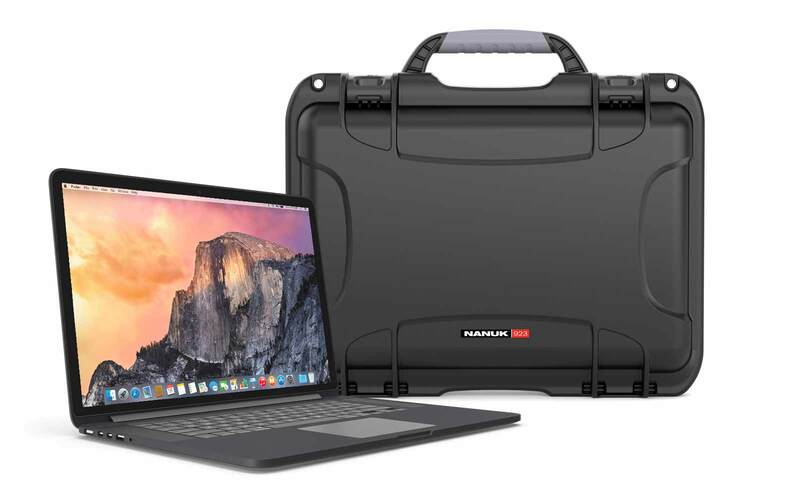 NOTE: For a cheaper (and smaller sized) option that you can customize to store an iPad Mini check out the Nanuk 915 with cubed foam. 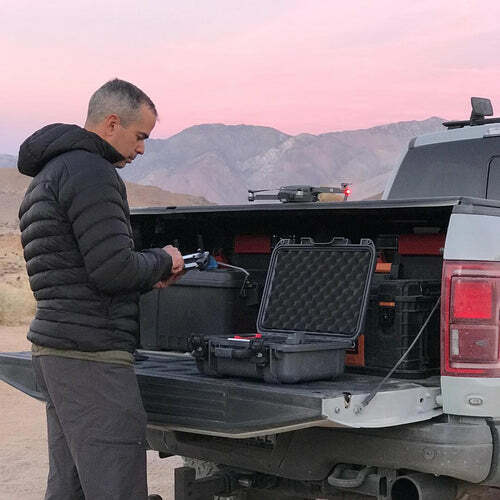 Even if the Mavic is made to be portable, we all know that we keep buying accessories and extra batteries to be able to last longer on the road with our drone. The Nanuk 920 does allow for this extra space while still being a small case to travel around with. It will fit perfectly over your shoulder using our ultra comfortable Shoulder Strap.And it's the kind of case that is always accepted on board an airplane. 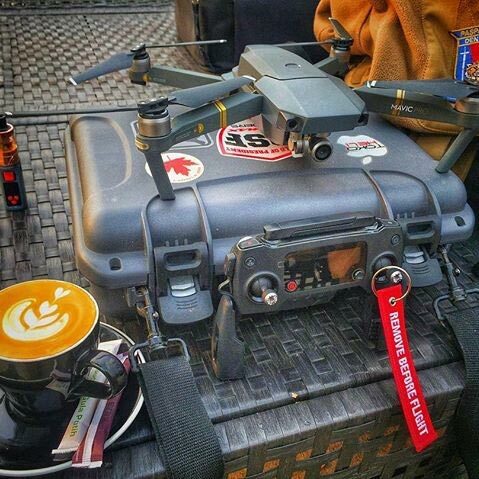 That way, you can keep your DJI Mavic close to you at all times. Exterior dimensions L16.7" x W13.4" x H6.8"
Interior dimensions L15.0" x W10.5 x H6.2"
Cube Foam Space L13.5" x W9 x H3.25"
Will I be able to modify the foam if needed? Yes, you can modify the foam with a sharp Xacto knife if you need more space for some special accessory. This is a hard density foam but it's still easy to cut through. Does the Mavic Hard Case comes with a Shoulder Strap? You can order the strap seperatly but we also have a special deal with this case. If you want to order the strap at a discount, just select the right option in the drop down menu of this Mavic Case page. 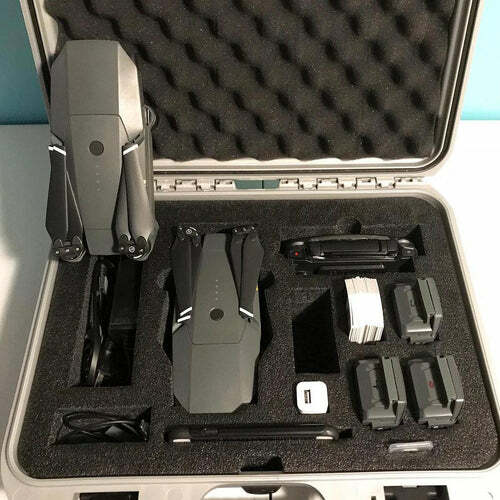 Can I order the DJI Mavic case without the foam? Yes, you can. 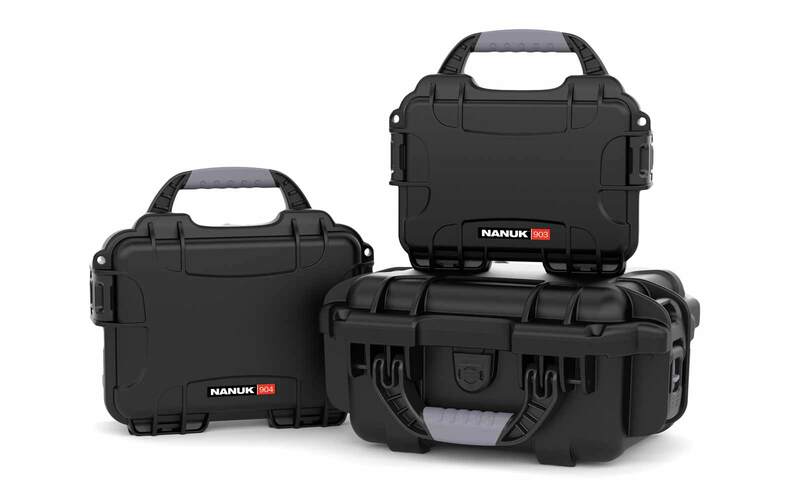 Simply visit the Nanuk 920 product page and select the Empty Case option from the drop own menu. 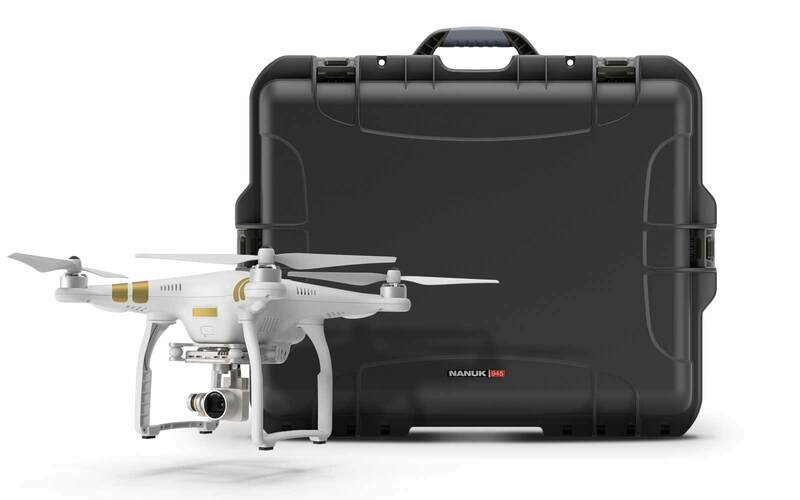 The Nanuk 915 case will also fit the DJI Mavic. So you could purchase this 915 case with cubed foam and make your own shape. This is a cheaper option that can make you save approximately 100$. 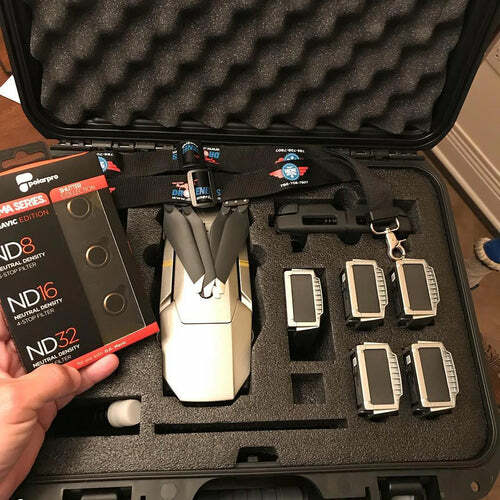 If you have more questions, just get in touch and I'd be happy to help you with your DJI Mavic Case purchase! 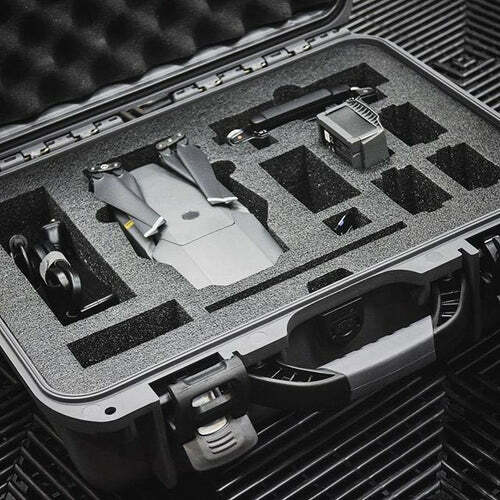 The Nanuk 920 DJI Mavic Pro case is perfectly built and designed to protect all the components included in my Mavic Pro bundle. The best feature for me is the way everything fits snugly and is 100% insulated and protected. The compact design makes it easy to transport and the shoulder strap is rigid and Oh So comfortable on the shoulder. 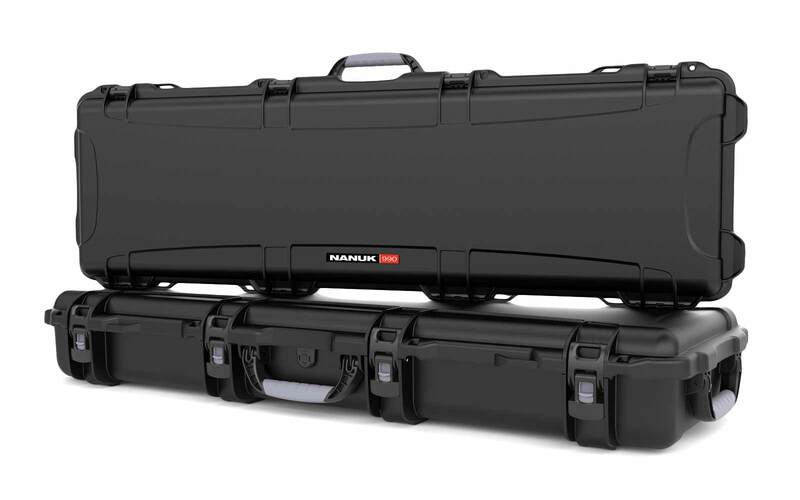 After much searching for a hardcase to protect and secure a sizable investment I chose the Nanuk 920 for the way it is built, the pre-formed compartments made precisely to fit all my Mavic parts and the warranty. Also I am Canadian and this product is made here in Canada. The service was exceptional, delivery was quick and David answered all my questions beforehand. 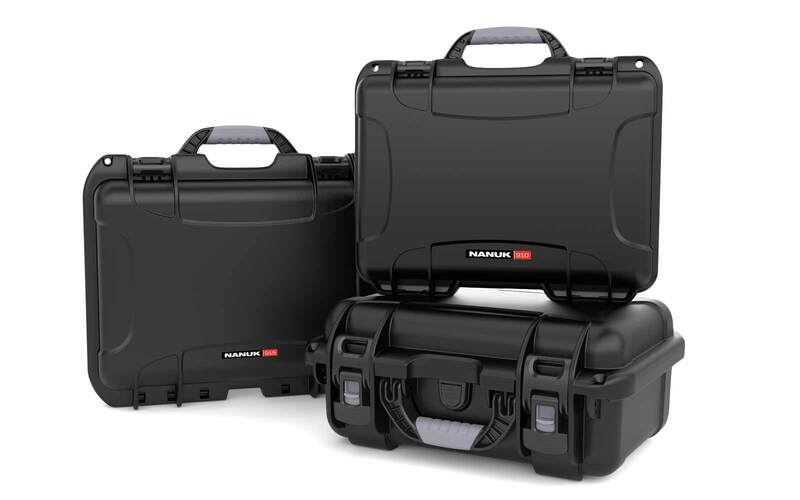 I highly recommend the Nanuk product for any item you want to secure and protect for transportation. Dont think you can beat it!! I recently decided to get a more durable case for bringing my Magic Pro to work aboard ships/in ports. After quite a bit of shopping around I settled on the 920 and I'm glad I did. This thing is very well built! I've already decided I need to get better cases for some other equipment and Hard Cases will certainly get that business too. Fits all the Mavic pro equipment and drone safely. Great case. I was looking for a solid case with a strap and the 920 is it!! Very happy with Nanuk case. It came as advertised it was more sturdy that I expected and my mavic pro and accessories fit perfectly. Can I store the remote control and smart phone inside the Nanuk 920 Mavic case? 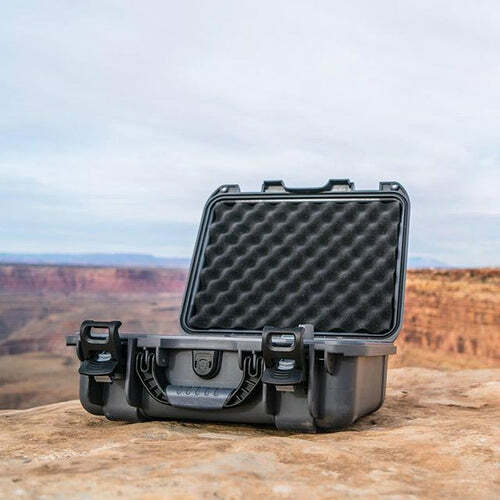 The Nanuk 920 DJI Mavic Case is big enough to store the Mavic, the Mavic - Battery Charging Hub, The DJI Mavic Remote control, a Smartphone, power cables and more. What is the shipping weight of Nanuk 920 Mavic? The shipping weight of Nanuk 920 Mavic is 6.75lbs. 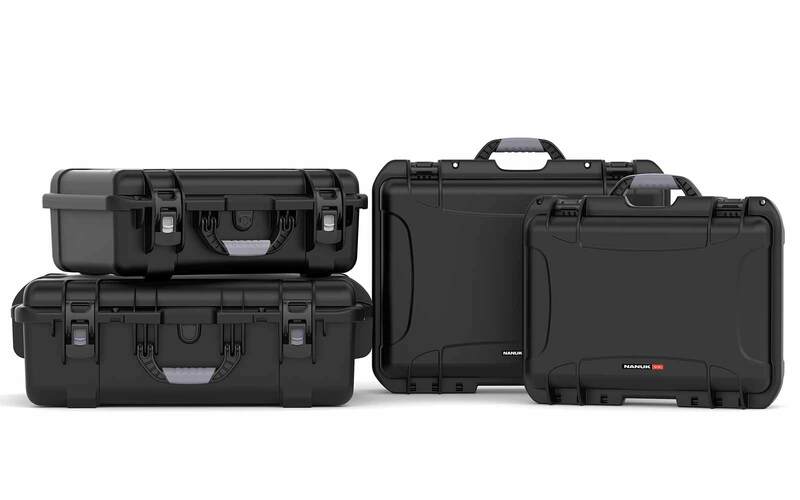 What accessories can fit inside the Nanuk 920 Mavic case? 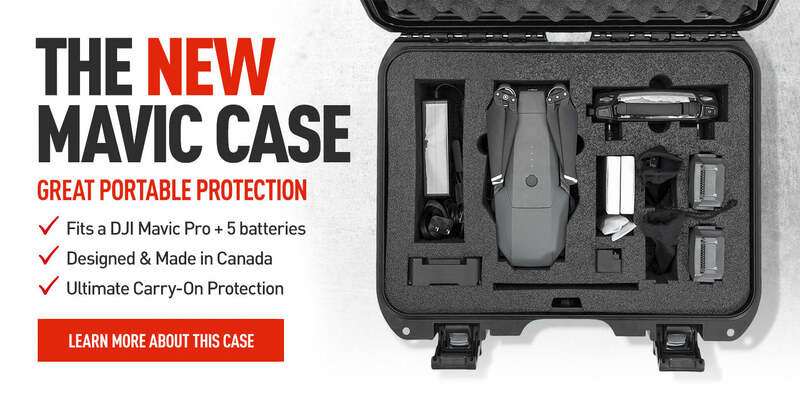 The case can fit a Mavic DJI Pro and up to five additional batteries. Can I store the propellers along with the mavic? Yes, there is enough space to store the propellers safely in the Nanuk 920 Mavic case. Can I fit a tablet in the Nanuk 920 Mavic? Yes, you can fit your tablet. Can this fit my Mavic Pro Platinum? Yes, Nanuk 920 MAVIC case can fit your Pro Platinum as well! How many batteries can fit inside? 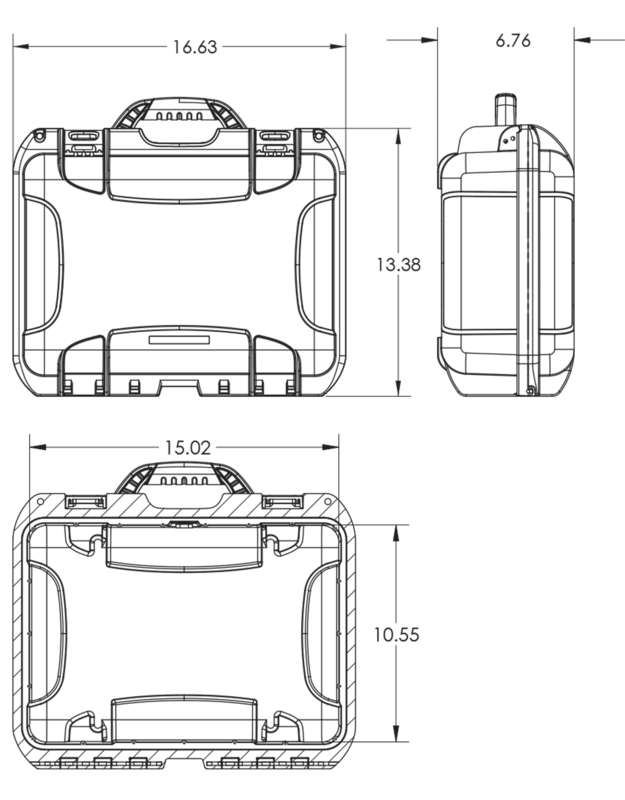 You can fit up to five batteries inside the Nanuk 920 Mavic case. Can I store additional props in the Nanuk 920 Mavic case? 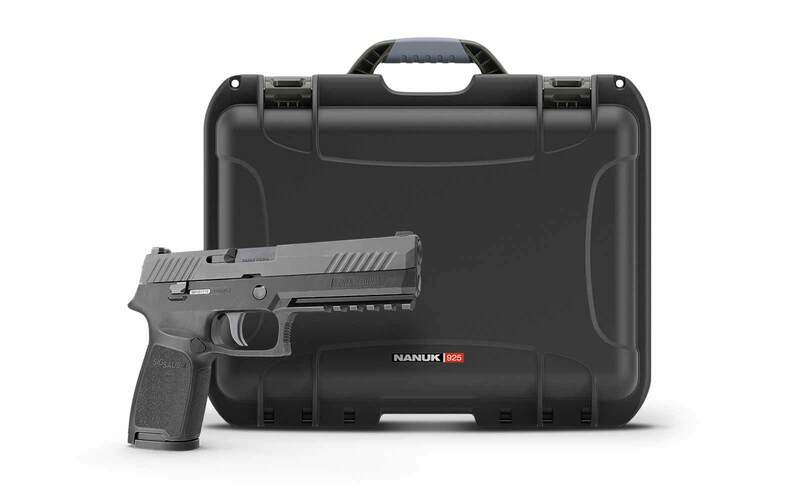 Yes, the case has space for additional accessories under the body compartment and under the top cover. 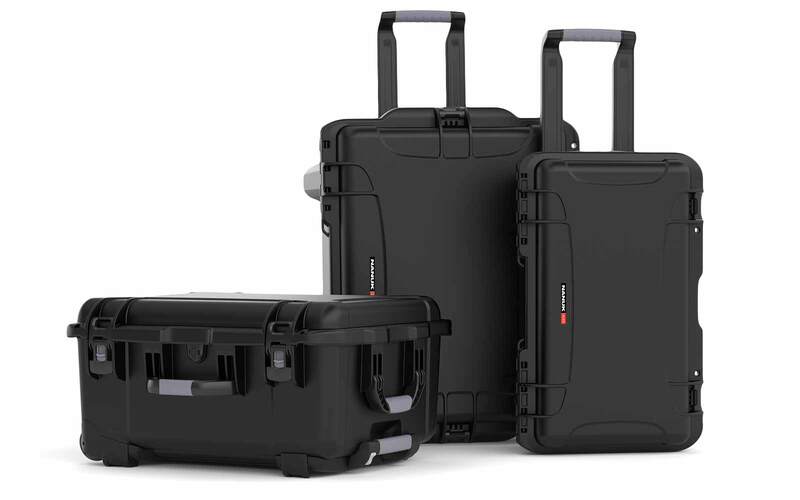 Does Nanuk 920 Mavic cases have wheels for easier travelling? No, this does not have wheels but you can comfortably carry it around with a Nanuk shoulder strap. 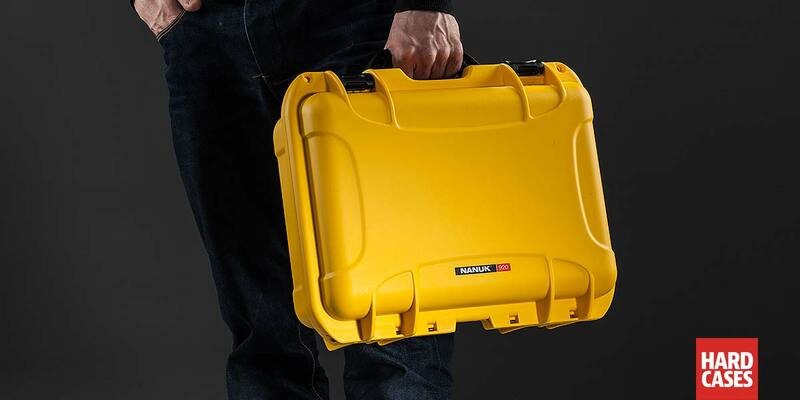 Can i fit the Nanuk 920 MAVIC case inside my back pack? Yes you can, but the best advise is to put a Nanuk shoulder strap in it for easy handling. Is there a room for extra propellers in Nanuk 920 MAVIC case? Yes, there are spaces for extra props. Can this fit in the overhead compartment of the plane? Yes, the Nanuk 920 MAVIC case will fit the overhead compartment. Can I remove and reinstall the foam of Nanuk 920 MAVIC case? Yes, the Nanuk 920 MAVIC foams are removable. Can this be carried inside the airplane? 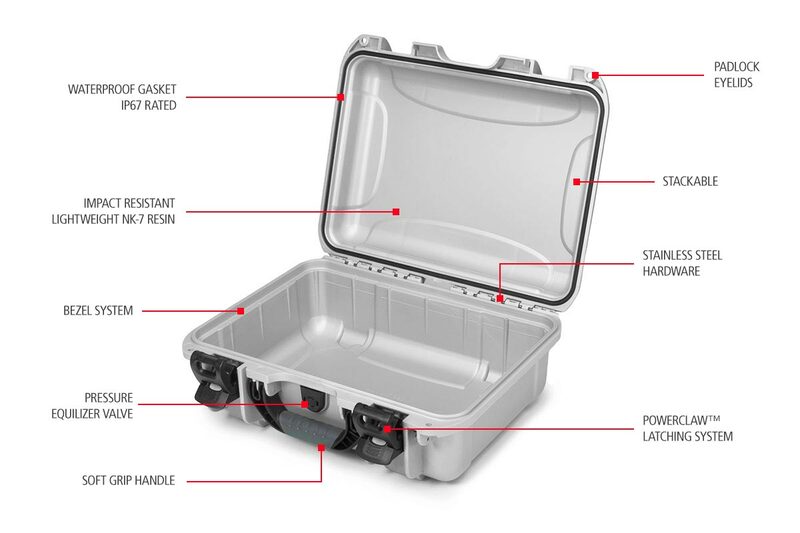 Yes, Nanuk 920 Mavic case is an airline carry-on case. Do you ship to the U.S.A? Yes, we do ship to USA. Can I request for a customized size of the case? We only offer the cases that are part of the collection line up. Customized size and colors would only be possible for thousands of orders. Does Nanuk 920 float in the water? Nanuk 920 does float at the maximum buoyancy of 18.14 kg. Can I request for a customized color of the case?